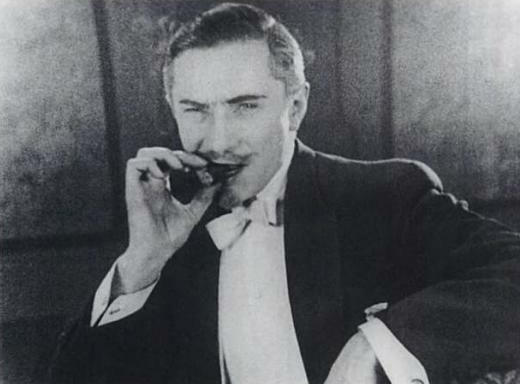 Nicholas Harmon, a wealthy philanderer and patron of music (Lugosi), spurns his opera singer mistress, Nina (Cassinelli), when her voice begins to fail and turns his lecherous attention to Anna, his stepson’s Russian girlfriend, a nightclub star known as the “Midnight Girl.” When Harmon attempts to forcibly seduce Anna in his apartment, she pulls a gun and tries to shoot him. Instead, she shoots Nina, who has been hiding behind the curtains. A shaken Harmon comes to his sense as he realises how much he loves Nina. 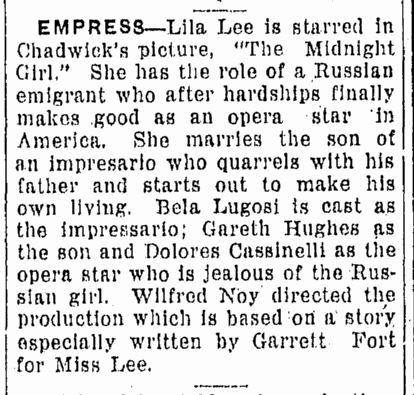 The convoluted melodrama ends with Harmon marrying Nina and his stepson (Hughes) marrying Anna. 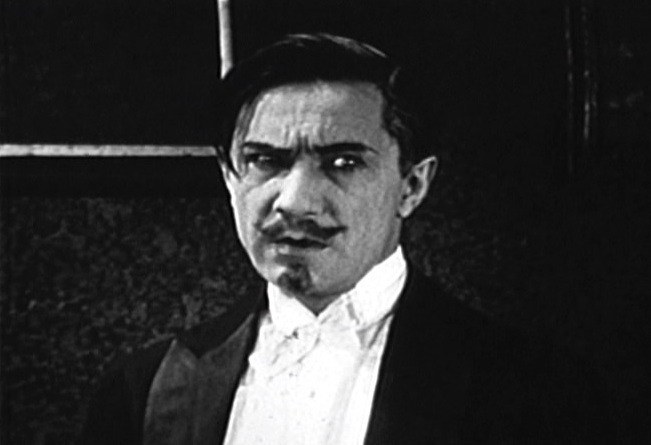 Garrett Fort, author of the story on which the film was based, worked on screenplays for many films including Dracula (1931), Frankenstein (1931), The Lost Patrol (1934), Dracula’s Daughter (1936), The Devil Doll (1936) and Among the Living (1941). 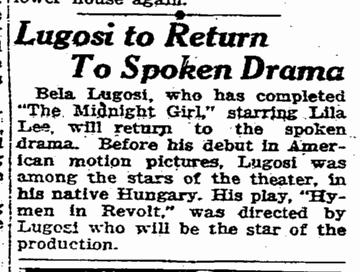 Screenplay: Wilfred Noy and Jean Conover. Based on an original story Garrett Fort. Fairly good entertainment but not for the children. 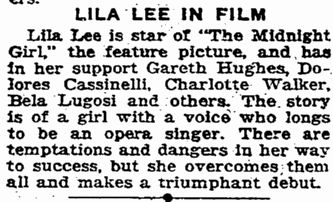 The cast is composed of such popular favorites as Lila Lee, Gareth Hughes and Dolores Cassinelli. A newcomer is introduced, Ruby Blaine, and from what we saw of her work, the future looks very promising. 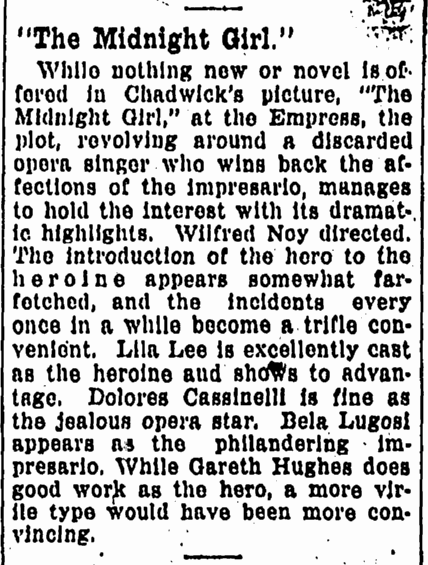 The plot is rather old – a beautiful and talented singer’s struggle for recognition on the operatic stage – but at that we find a little of the old hokum in most pictures.